Human rights activist and Lagos lawyer, Mr. Femi Falana, SAN, yesterday, eclared that $12.7 billion worth of crude oil was allegedly stolen from Nigeria between 2011 and 2014, even as he called on the Petroleum and Natural Gas Senior Staff Association of Nigeria, PENGASSAN, to prevail on the anti-corruption agencies to institute a probe to trace the funds and determine the culprits. Speaking at the 40th Anniversary Celebration of PENGASSAN in Abuja, Falana also called for the immediate recovery from oil companies, royalties accruable to the Federation Account since 2014, stating that the Offshore and Inland Sharing Contract Act that provided that for 50 years no royalty would be collected from oil and gas mined from below 1,000 meters depth had expired in 2014. Commenting on the alarming cases of oil theft, Falana said the crude oil theft data was released by the Nigerian Maritime Administration and Safety Agency, NIMASA, while he promised to make the report available to the Nigerian National Petroleum Corporation, NNPC, and other stakeholders. According to him, the NIMASA study revealed that from January 2011 to December 2014, oil that left Nigeria totaled 60.2 million barrel, not recorded here, but was discharged in one port in Philadelphia in America. He said: "The study revealed that the value of the money from oil stolen from Nigeria is $12.7 billion. The oil was discharged in one port. 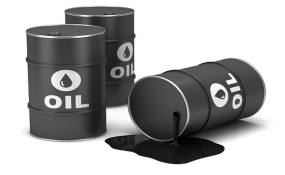 We have identified who the oil majors are and the shipping companies involved, but since 2014, we have been begging the Nigeria government to recover the money." He urged PENGASSAN, the Nigeria Union of Petroleum and Natural Gas Workers, NUPENG, and Nigeria Labour Congress, NLC, to pressurise anti-graft agencies to probe the volume of crude oil stolen from Nigeria and discharged at ports in the United States, India, China, France and Britain, noting that if the issue was taken seriously, Nigeria could see the return of over $100 billion. He said, "This is the real money that should be recovered. That is why I am appealing to NUPENG, PENGASSAN and NLC to assist in going to the root of this criminality at the international level and recover the money and put in the federation coffers so that our people can enjoy the benefits of oil and gas industry." Falana also challenged the labour centres to look into the Halliburton case to ensure that justice prevailed and see to it that recovered fund was used for the benefit of the country. He lamented that Nigerians were yet to get value from the oil and gas industry, while he also called on the unions to focus on the Petroleum Technology Development Fund, PTDF, and determine how best it could be utilized for the interest of the country. Also speaking, Group Managing Director of the NNPC, Mr. Maikanti Baru, called on PENGASSAN to collaborate with the Corporation and provide ideas that that would guarantee the profitability and optimum performance and sustainability of its business and operations. According to him, this becomes necessary because once the business is sustained, everything, including of course, staff welfare, will automatically fall in place. Baru said, "The NNPC appreciates your consistent involvement in the industry policy formulation. The most recent being the Petroleum Industry Bill, PIB, your advocacy for robust local content development as well as your complementary role to grow a virile and productive economy for the country. "These have gone a long way to demonstrate the high stake you have exhibited in the service of the industry and the nation. I can only add that you keep up your good work."